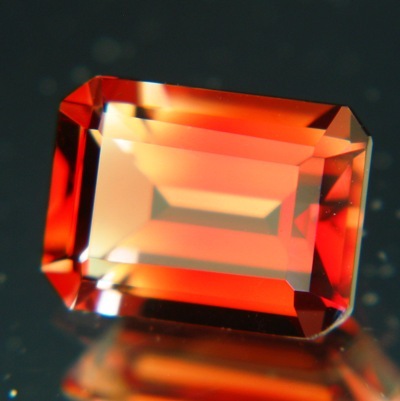 Comment: Intense orange-red sunstone in colour-cut (as opposed to lustre-cut). Competing with orange Ruby or flame Spinel. 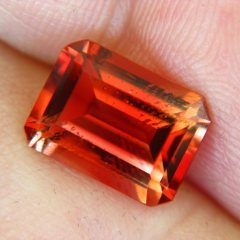 GIA certified untreated Oregon Sunstone. Some yellow shows when the stone is tilted and seen from an angle. Shiny hue and mirror-like brilliancy. Precision cut in Germany. No inclusions except that invisible copper shiller. Buys you a 1000sqm of rain forest, comes home for free with all original documents. This is an GIA update on Oregon Sunstones.